It’s nearly Mother’s Day. And while it’s nice to send a card or buy a gift, a 2018 Ooma study found that 82 percent of surveyed moms say they would rather connect with their children for Mother’s Day than receive a gift. Whether it’s talking on the phone, laughing, doing something together, or sharing a meal, time spent connecting can be valued more than a trinket or other gift. We know that many moms live far away from their children. That’s why 35 percent of all people surveyed will be picking up the phone this Mother’s Day as the way that they can connect with and celebrate their Mom. More than 500 people participated in our nationwide Mother’s Day survey, including moms and their families. Notably, we found that moms were 22 percent less likely to want flowers for Mother’s Day than their children think. However, they’re 46 percent more likely to want to receive chocolate than their children expect. Are You Calling Your Mom Enough? Mother’s Day is, of course, a notable moment to call your Mom. But more than just on her special day, how often do you call your mother, and is it as much as she’d like? A survey by FiveThirtyEight sought to answer these ever looming questions. They report that 23 percent of mothers would like to hear from their children more frequently, and only eight percent of mothers hear from their children more often than they’d like. That means in 69 percent of the cases, kids are getting it right and calling their moms as frequently as they want. But what is the ideal frequency that moms want to receive a phone call from their children? While the answer to that question may vary, the FiveThirtyEight study does have some nationwide averages. The most popular call frequency that moms want is to hear from their kids is a few times per week. Kids agreed, as this schedule was the most popular choice when asked how often they think their mother expect a call. When looking at the more frequent call patterns, including several times per day, daily, and several times per week, moms have higher rates of wanting these call frequencies than what kids think should be expected of them. The opposite is true for less frequent call patterns. For weekly calls, a few times per month, monthly, and calls a few times per year, kids selected these frequencies at higher rates than what moms wanted. “Moms really just want to hear from their children — on Mother’s Day or any other day of the year,” says Jim Gustke, Vice President of Marketing, Ooma, Inc.
Because she wants to hear from you. It’s just that simple. To give her an update on what’s been happening or how the grandchildren are doing. To ask her how she’s feeling. To ask her for her opinion. Adulting is hard, and moms give great advice. To share a smile, share a laugh. Call to thank her! From diaper changes to the terrible teen years to today, she’s been through it all with you. We use Ooma to call our own mothers, and to help you call your mom, Ooma has a limited time Mother’s Day promotion. 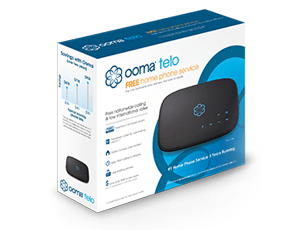 On May 13, 2018, all Telo customers can use Ooma to call their mom for free. We understand how important Mother’s Day phone conversations are for both moms and kids, and our gift to you will make it a little easier. So no matter where in the world your mom is, your Mother’s Day phone call is on us. Does Mom Need Ooma Too? When you set your mother up with an Ooma Telo, she can benefit from all the same calling features, and she may also appreciate the customizable call blocking feature to reduce the number of telemarketers and scammers that prey on seniors. Plus, the safety features of Ooma’s advanced 911 service automatically transmits a home address to dispatchers, solving the geolocation problem of many cellular phone plans. And 911 Alerts will keep you in the loop by automatically notifying the emergency contact if 911 is dialed. So not only does Ooma help you and your mom stay in touch, but the comprehensive set of features provides a better overall phone experience. 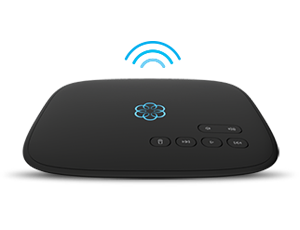 Thinking about getting your mom an Ooma Telo for Mother’s Day? And to all of the moms out there, we wish you a Happy Mother’s Day.